Oh boy, I saw "Glass." The acting is over the top. The directing is superb. The movie is the final movie in a trilogy which started 19 years ago with "Unbreakable." A few years ago "Split came out. ?Glass? begins with Bruce Willis as David Dunn, being reintroduced. The young actor, Spencer Treat Clark, who played his son, Joseph in "Unbreakable" reprises his role in this movie. They own a security company together. David still has his abilities to be unbreakable and being able to psychically connected with people by touching them. James McAvoy is back doing a marvelous job acting out his 23 personalities. 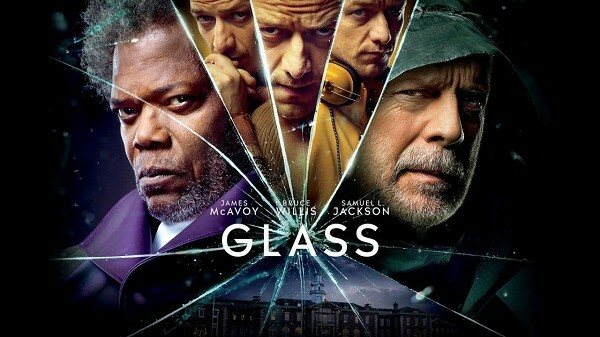 Samuel L. Jackson is Mr. Glass, the evil genius with brittle bone disease. Sarah Paulson is the psychiatrist who is dealing with all three. Her acting was what I was least impressed with. M. Night Shyamalan has his typical twists in the plot. His directing and attention to details is excellent. I wasn't as satisfied with it as I wanted to be. I do feel it is the weakest in the trilogy. That being said the acting is so good it draws you right into the movie.